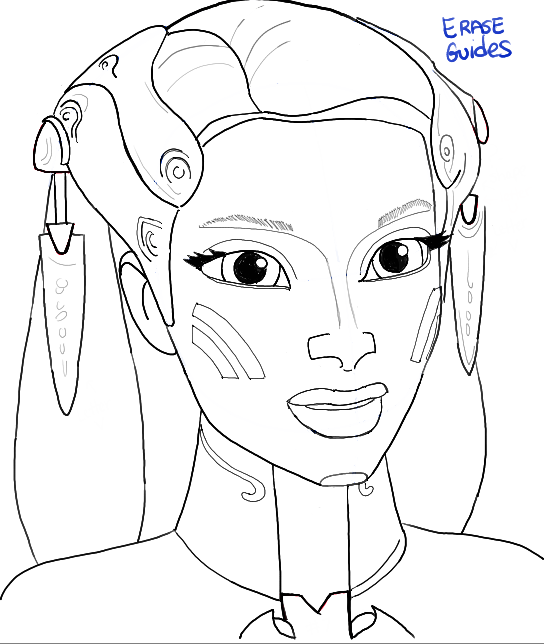 Today I will show you how to draw Senator Riyo Chuchi from Star Wars The Clone Wars. She is a Pantoran senator who survives an assassination attempt. 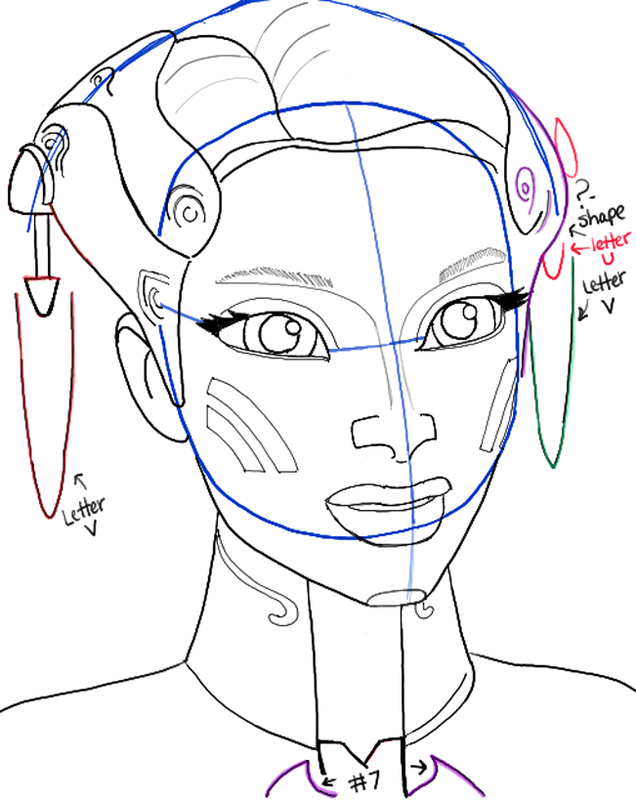 Learn how to draw her with the following simple-to-follow step by step drawing tutorial. 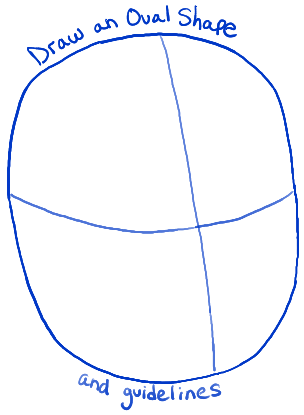 – Draw an oval shape with guidelines thru it…as seen above. – Then draw a letter ‘C’ shaped ear. – Draw an oval for the chin. – Draw a curved line for the left eye and a letter ‘s’ curve for the right eye. Lightly draw 2 lines for the bridge of the nose. – Draw a letter ‘v’ shape over the left ear. 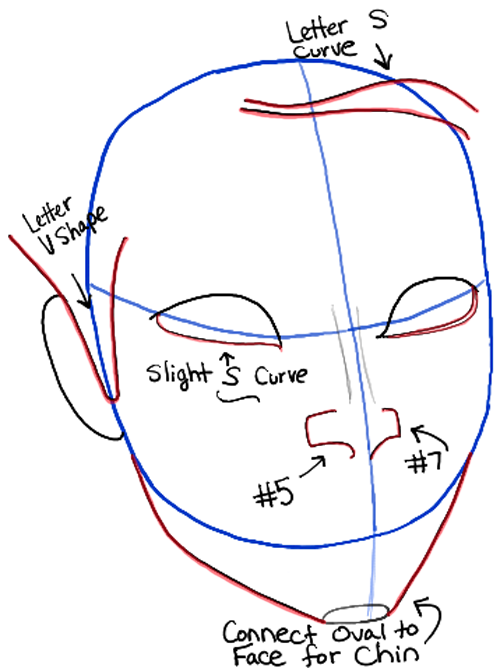 – Draw a slight letter ‘s’ curve under the left eye…and 2 curved lines under the right eye. – Draw a #5 and a #7-like shape for the nose. 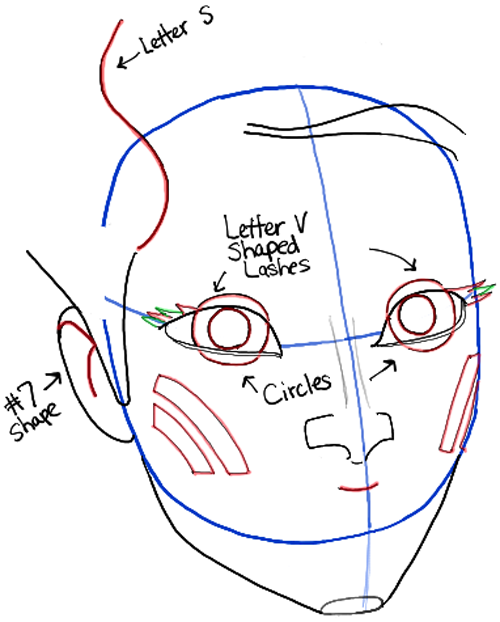 – Draw 2 lines to connect the oval to the face – for the chin. – Draw 2 sideways letter ‘s’ curves at the top of the head. 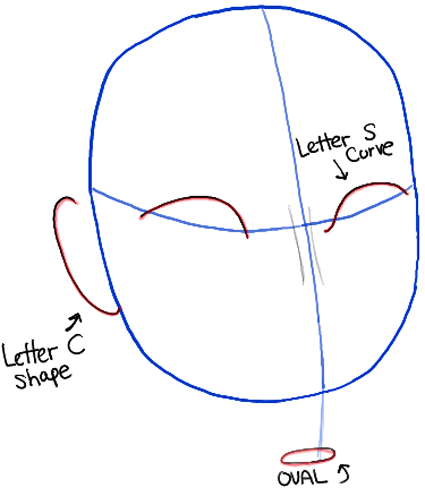 – Draw a letter ‘s’ curve at the top of left side of the head. – Draw a #7 shae in the ear. – Draw 2 circles in each eye. – Draw a curved line under the nose. 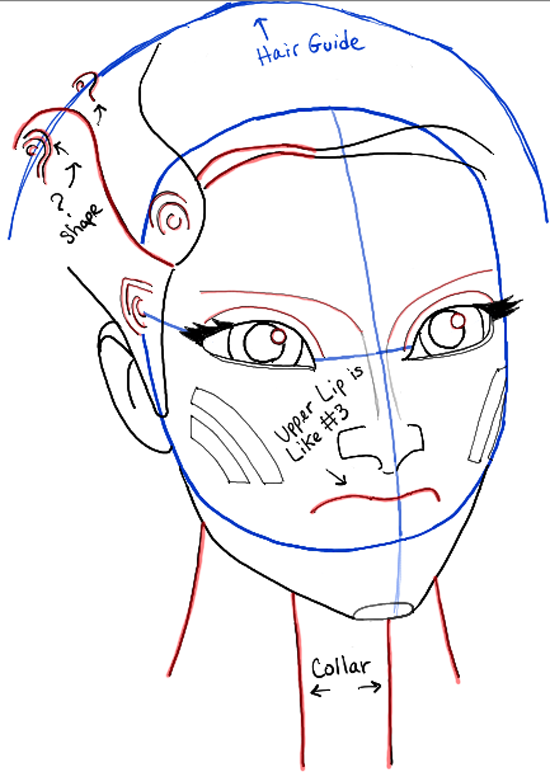 – Draw curved rectangles on the cheeks. 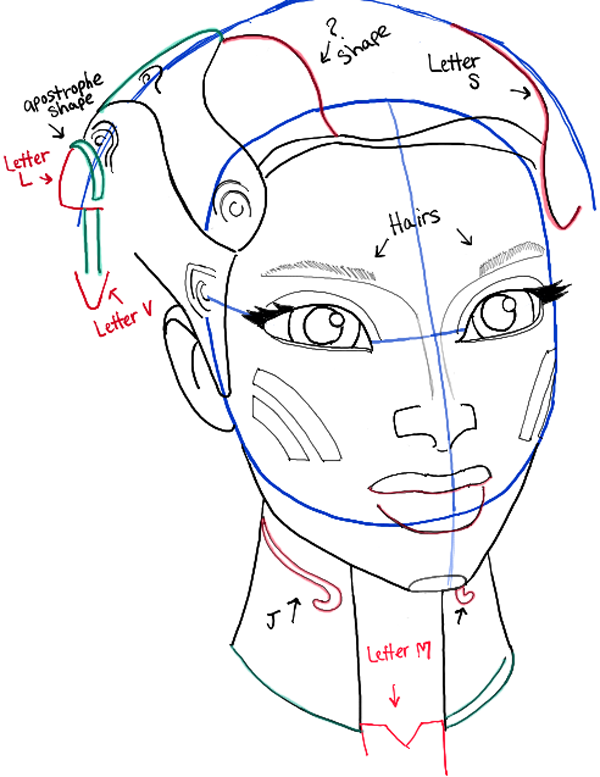 – Draw a curved line above the head as the guide to her hair. – Draw 4 lines under the neck for the collar lines. – Draw a sideways #3-like shape for the upper lip. – Draw curved lines over the eyes. 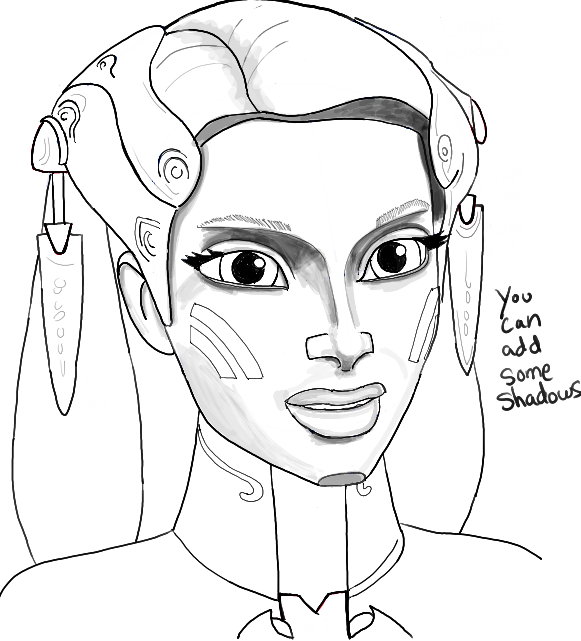 – Draw a few other lines in the hair area. – Draw a ?-like shape and a letter ‘s’ shape in the hair. – On the left side of the head draw an apostrophe shape, a letter ‘L’ shape, 2 lines, and a letter ‘v’ shape. – Draw the bottom of the top lip and the bottom lip. – Draw a letter ‘M’ shape below the collar. – Draw 2 bubble letter ‘J’ shapes within the collar. – Draw a few more basic shapes. 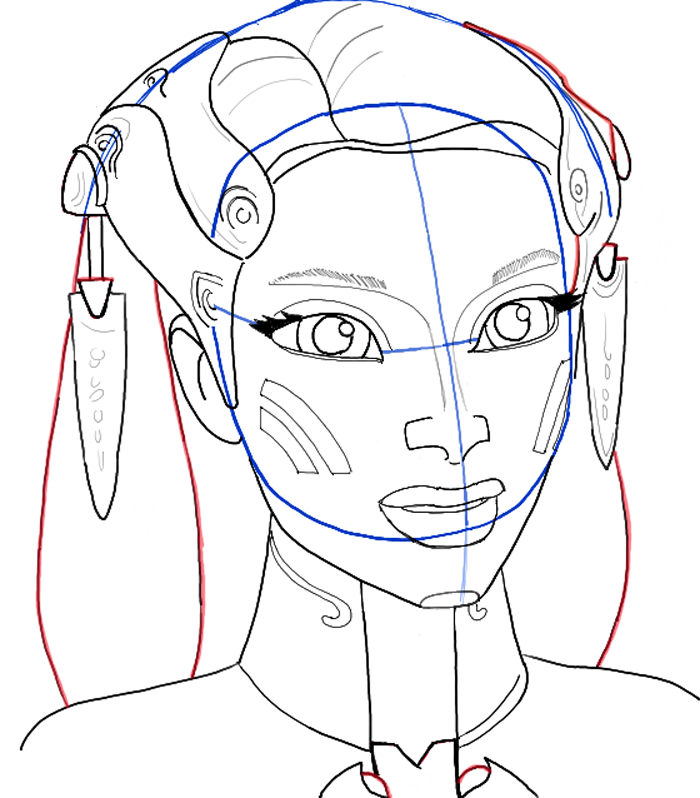 – Add curved lines for the hair. – Add a curved line to both sides of the collar. – Either color in or add some shadowing. 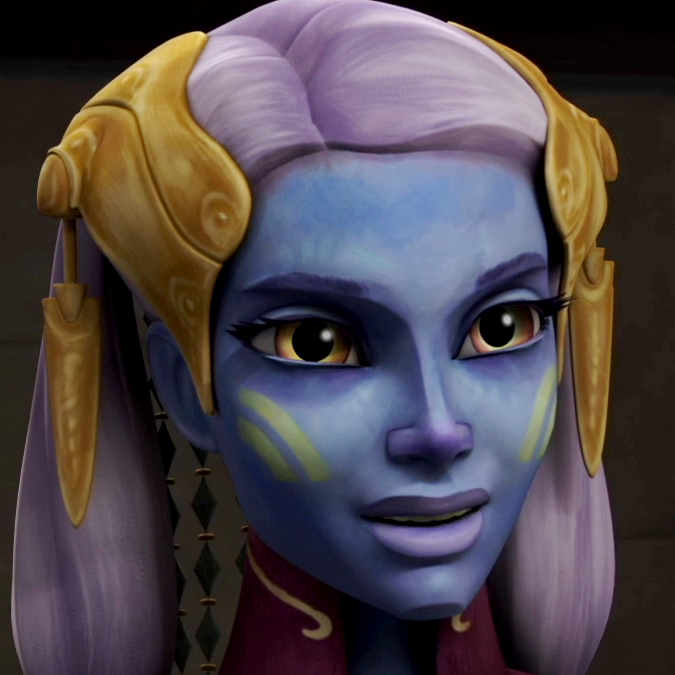 – I hope that your Senator Riyo Chuchi drawing turned out really well. Come back for more Star Wars drawing lessons as well as many other drawing tutorials. I hope that you had fun! But, I added the diamond shaped beads at the back of her head like shown in the picture above. LOL – I thought that was wallpaper in the background. Sorry about that. This article was written on 02 Apr 2014, and is filled under Star Wars Saga.